Hi-Vac transformer oil treatment is mainly used for removing trace water,gas and impurities from insulating oil,improveing the insulating oil performance index.It is mainly applied to purification of 110KV,220KV,500KV,750KV,1000KV power transmission equipment insulating oil,also applied to treat low viscosity oils,like insulating oil,turbine oil,and hydraulic oil in the transmission equipment which is lower than 110KV. 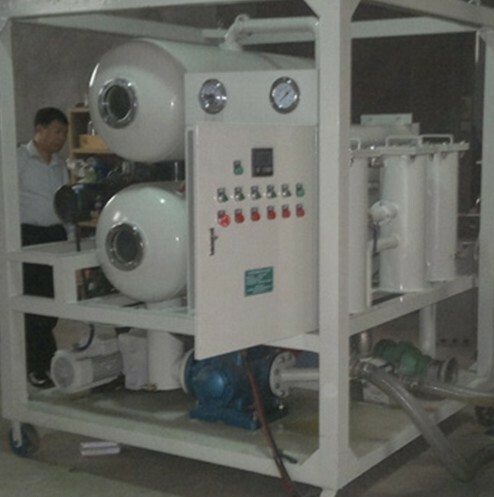 Meanwhile,Series ZYD oil purifier can be used as independent vacuum source with functions of vacuum drying and vacuum filling.Insulating oil performance mainly decided by oil's water content,If the water is not saturation in the oil,it appears as the molecular states;If the water is saturation in the oil,it appears as the liquid states and stay at the bottom of container. 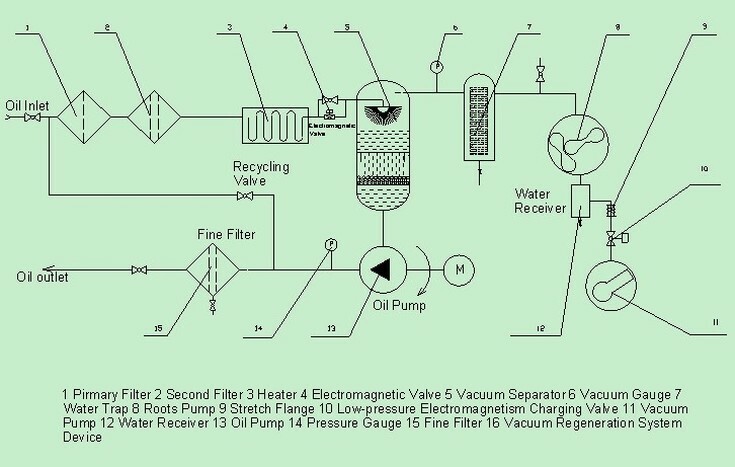 Under the vacuum states,because the less gas content,the water and gas in the oil will be escaped from the oil and evacuated by the vacuum pump.The higher vacuum value(Close to 0 Pa),the higher speed of water molecular volatilization(The latest technology,the vacuum oil purifier can reach to 1 Pa working vacuum value). The gas and water which dissolved in the oil will become gaseity and exhausted by vacuum pump. The oil temperature affect vacuum oil purifier working efficienecy,the higher temperature,the water molecular get more kinetic energy,so it is higher diffused speed of water molecular.But,exorbitant temperature will cause fracture of carbon chain for oil molecular,if that will make oil bad.So we don't suggest the oil temperature excess 80℃. Also the impurity will affect oil dielectric strength,so the vacuum oil purifier requires high filtration precision.